THPBlog: Campbell Timberlands to log near an Engelmann spruce stand west of Highway 89. Campbell Timberlands to log near an Engelmann spruce stand west of Highway 89. This THP is about 6.5 miles SW of Pondosa, CA and Highway 89 at an elevation of 4400 to 5240 feet. Campbell Timberlands is planning a tractor and cable logging operation in Douglas fir, white fir, ponderosa pine, sugar pine, incense cedar and lodgepole pine forests. There are 4 landslide areas including 2 sites that originate from a steep headwall area that travels towards Clark Creek, and 2 sites on Clark Creek. An unstable area exists on the edge of unit 3005, and an existing tractor road is proposed for use that crosses a flat bench above the toe of a landslide in unit 2107. Tractors are also proposed for use on steep slopes (50 - 65%) in unit 2109, and a landing is proposed for use inside a class I watercourse. 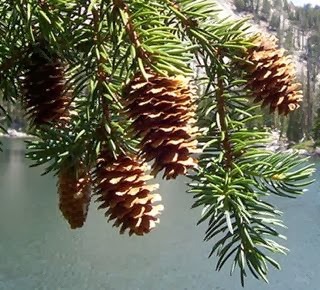 The THP area contains one of the southern most remnant stands of Engelmann Spruce along Clark Creek and Engelmann Canyon. Eight acres of conifers are planned for cutting around aspens stands at Smokey Lake and Smokey Lake wet area. Sandhill crane sightings were reported nearby in the Crayton Valley. This THP is adjacent to W.M. Beaty’s recent Little Owl Lake THP 2-13-024 SHA. More information is available on the THP Tracking Center website.